I really enjoy a bit crafting. 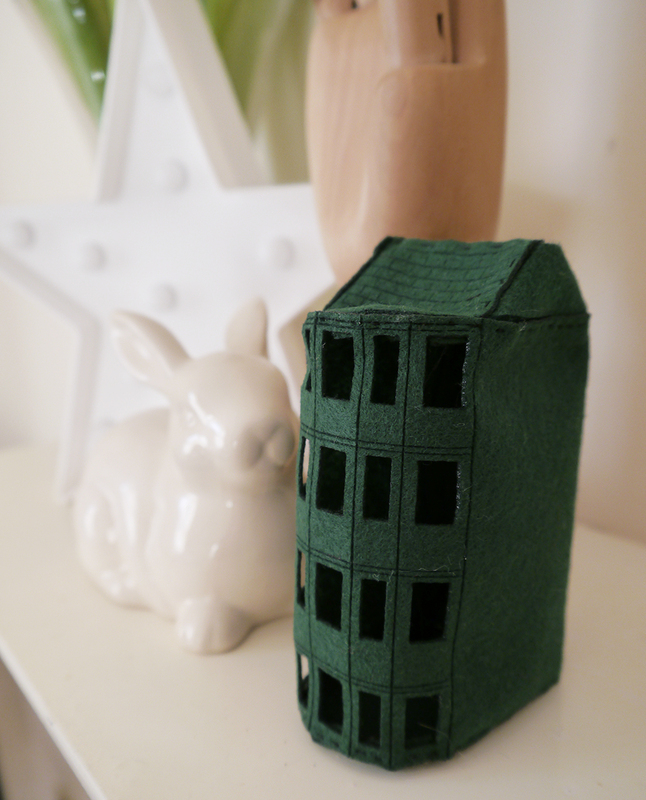 From making books out of blinds and collaging cards, we've done our fair share of arts and crafts on the blog. Making stuff can be so satisfying, fun and you (hopefully) have something fabulous at the end of it. That's why I can totally get on board with Say It Ain't Sew. These free classes has been on the go since 2010, starting in Glasgow and then heading over to Edinburgh. The brain child of sewing queen bee Iona Barker, 2016 saw a class start up in Dundee, under the tutelage of our fabulous friend Jill Skulina. 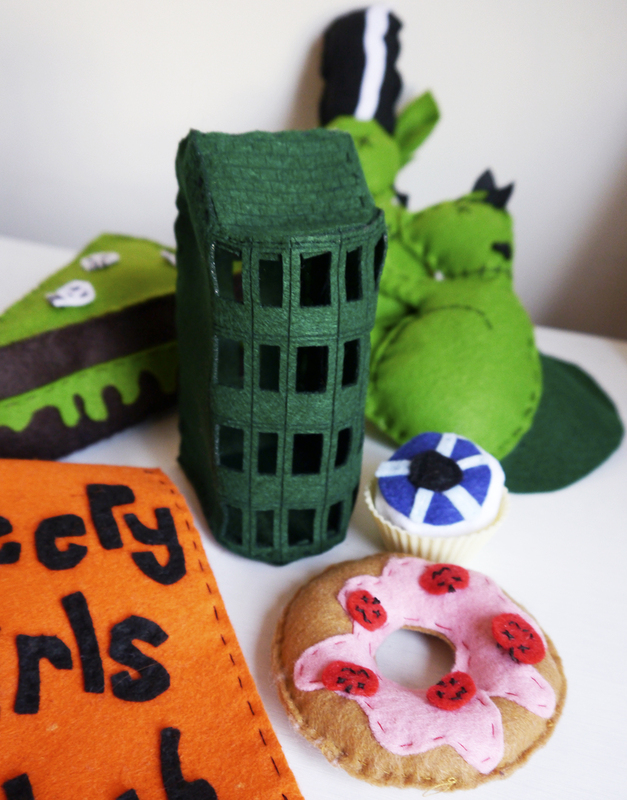 Having not done a whole lot of sewing since studying it for 4 years at uni, it's certainly a nice way to dip back in. Since starting the group back in January, I've been doing my best to keep up a halloween theme for each of my makes. There's not a real reason for this, it's mainly just because I love Halloween and I like a challenge. Plus it means I'll have so many decorations when the 31st October comes around. As well as growing my collection of Halloween decorations, the classes are also a great opportunity to meet other crafty folk, have a wee gossip and partake in a drink or two. Being held in Brewdog, there's a great relaxed atmosphere, even if the red neon lighting sometimes affects my fabric colour choices. 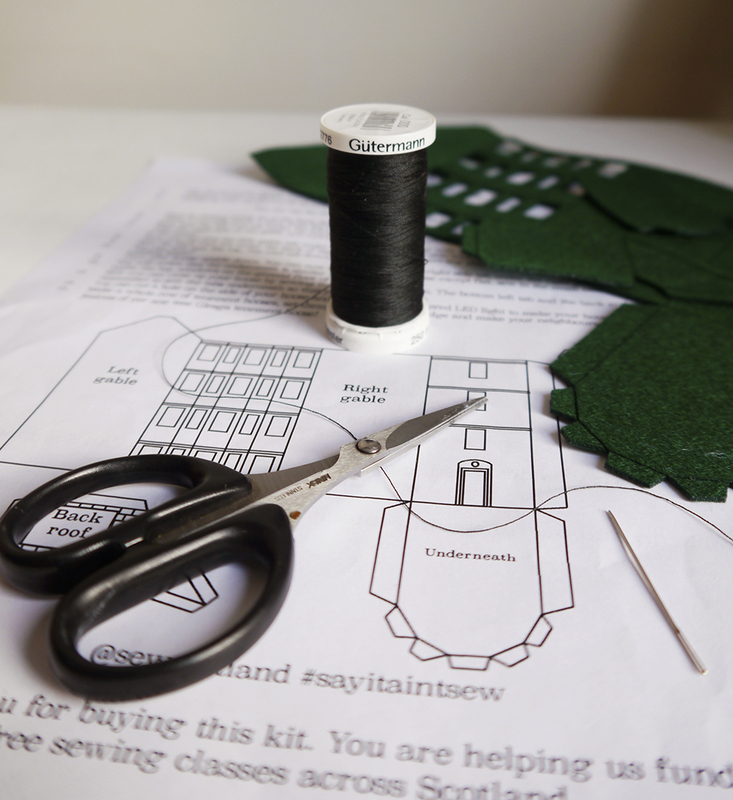 Now, in addition to the classes, Iona is offering Say It Ain't Sew - Sew Your Own kits. 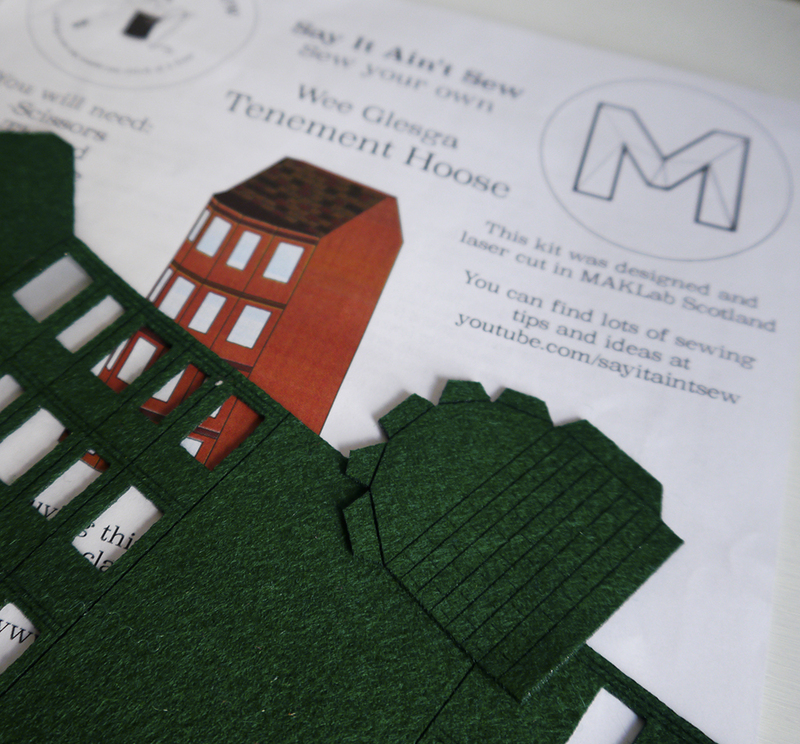 We were invited to get our needles out and give a couple of these kits a try to celebrate National Crafting Month. Of course, I'm still going to be heading along to the classes but it was nice to do some sewing while lounging in my pj's. The kits are great for this, as well as for those who can't make it along in person. I decided to go for a Wee Glesga Tenement Hoose. I love that this kit was laser cut in MAKLab Scotland. The pieces are so neat and the roof part has a fabulous tile effect. The instructions were easy to follow and there are also tutorials available on YouTube for inspiration. 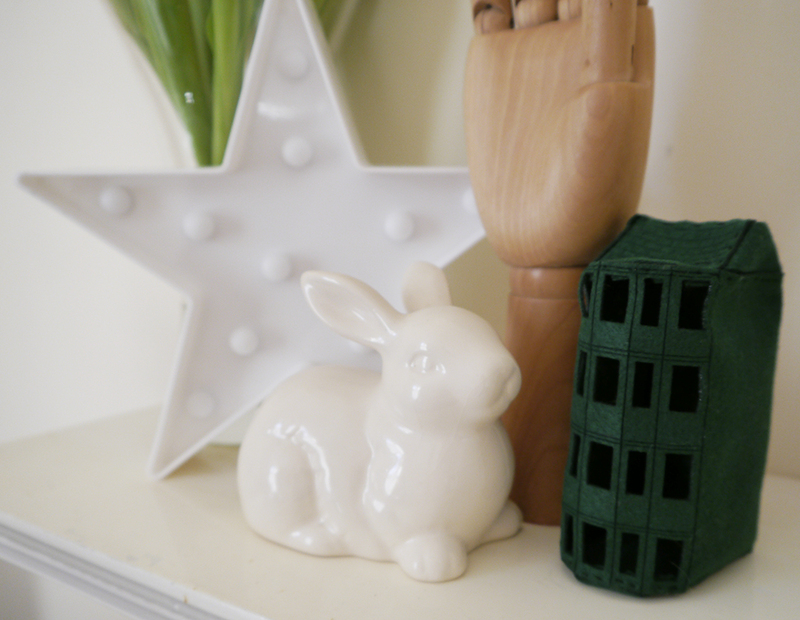 I spent an evening watching tv, drinking tea and sewing it up. Then another evening deciding where to display it in my flat. I'm planning to add a little ghost in one of the windows, just to continue with my creepy theme. There are now a whole bunch of different kits available in the Say It Ain't sew Etsy shop. From foxes to flowers that won't die, there's plenty to pick from. 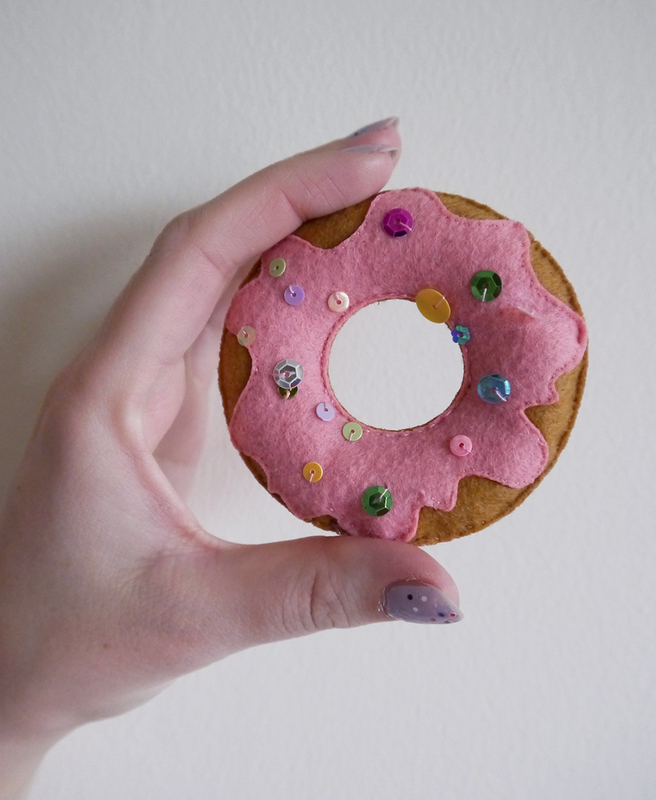 Kimberley decided to go for the donut kit, because who doesn't love donuts!? 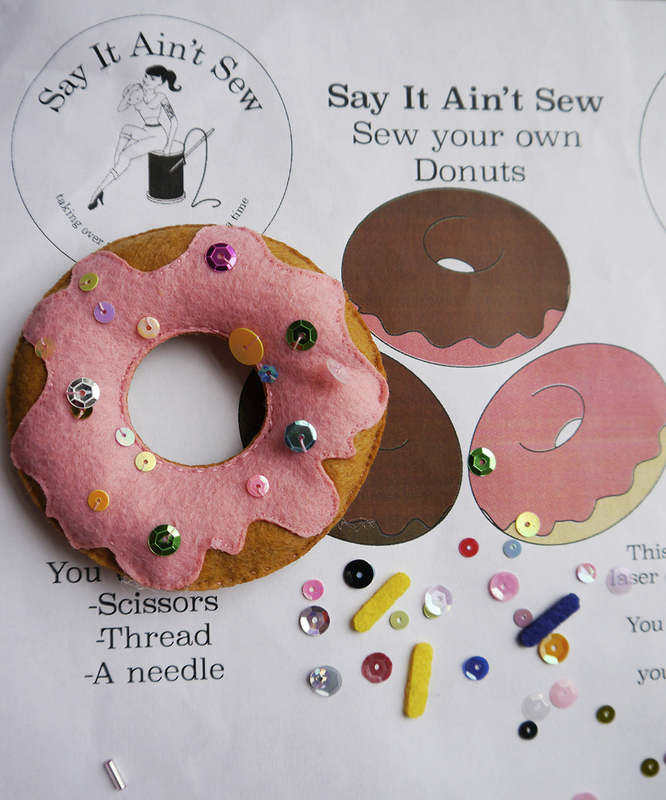 What's great about this kit is you can sew up 3 donuts, each featuring different sparkly sprinkles. A cute way to decorate for a tea party or they can be strung together for a super tasty looking garland. With her ridiculously small and neat stitches it took Kimberley slightly longer to sew it up (what a perfectionist) but the results are oh so sweet! 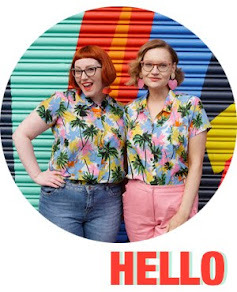 Check out the online store for all of the kits and get crafty while helping to support free sewing classes across Scotland. And, if you can make it along to one of those classes, I would thoroughly recommend it. You can find them in Glasgow, Edinburgh, Dundee and soon to be making an appearance in Aberdeen. Watch out on twitter for more updates. Thanks to Say it Ain't Sew and Birdie Marketing for encouraging our creativity with these crafty kits.